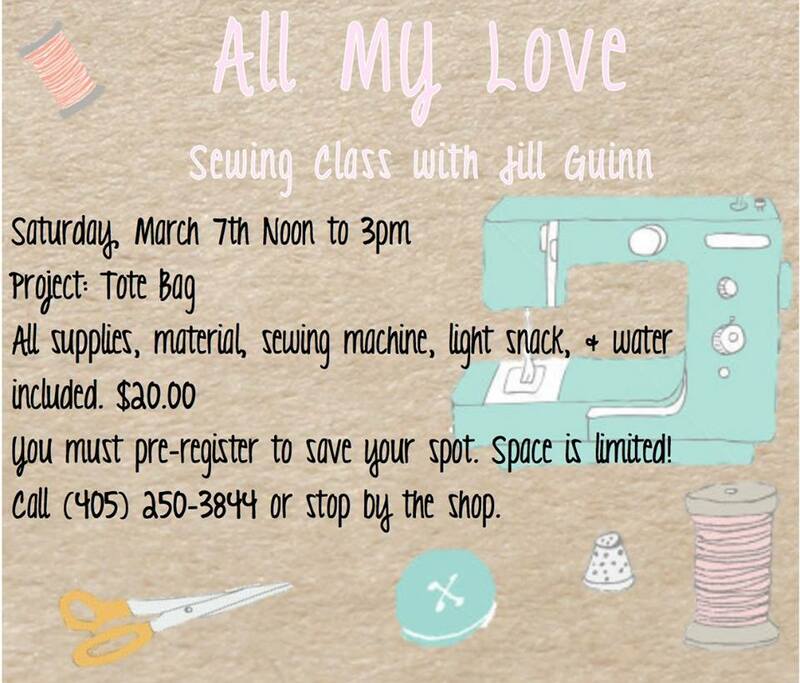 I am going to start teaching sewing classes in Okemah, OK at the lovely shop “All My Love” located at 203 W. Broadway. I will also be available for private sewing classes. I know that it is sometimes helpful to learn to sew on your own machine. One thing that is dear to my heart is helping others. So if you have an design idea and you are just not sure how to make it let me help you. Your idea could be the next big thing.